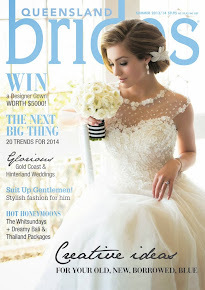 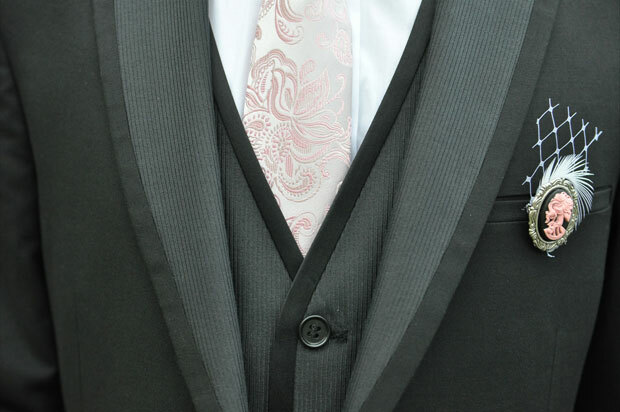 To finish up this week of creative wedding DIY we're going to share with you some fashion DIY. 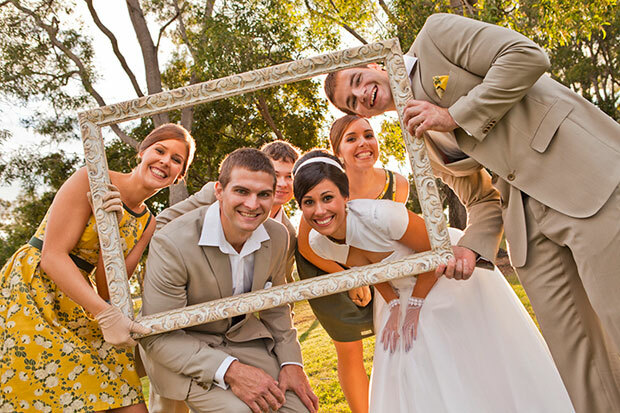 Lauren's Mum was a great DIY-er when it cam to her wedding with Scott. 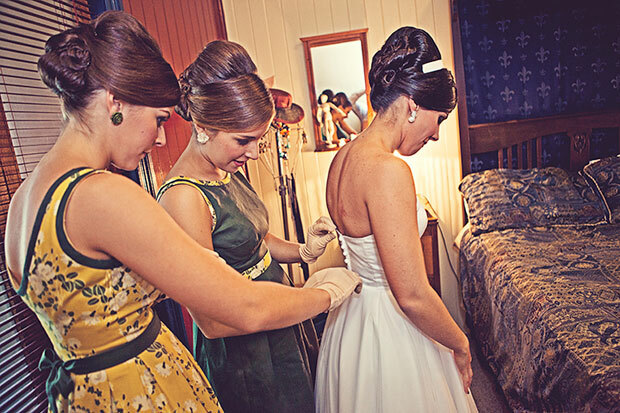 She made, from scratch, the bridesmaid's dresses. 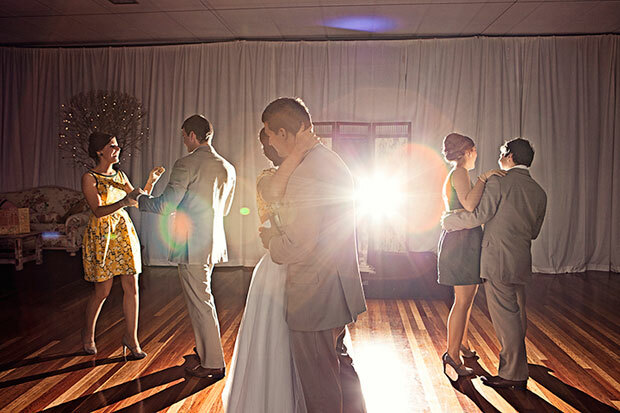 How gorgeous! 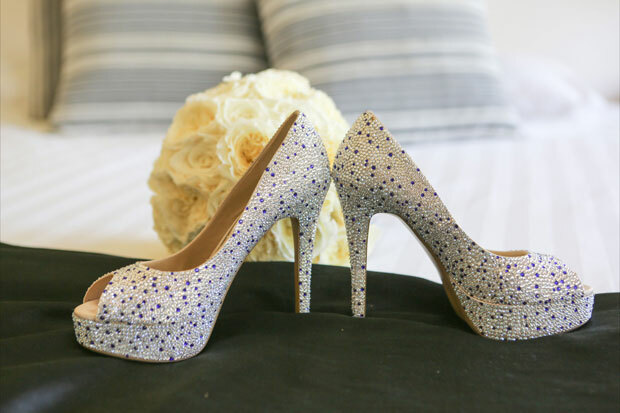 Leah and Jamie's wedding had lots of little DIY touches. 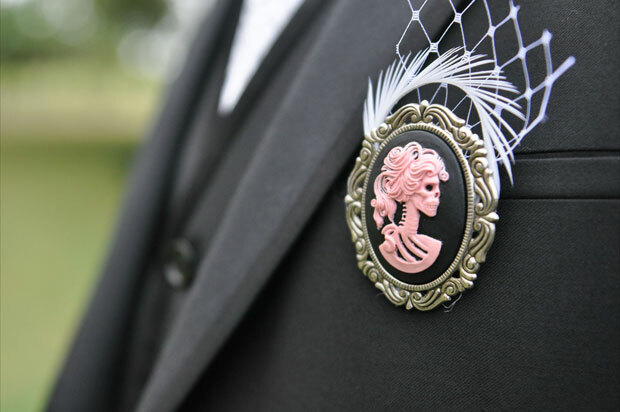 "I tried my hand at a little DIY when I made the boys boutonnieres using skeleton cameo brooches, some of the netting form my birdcage veil and feathers which matched my hair piece." 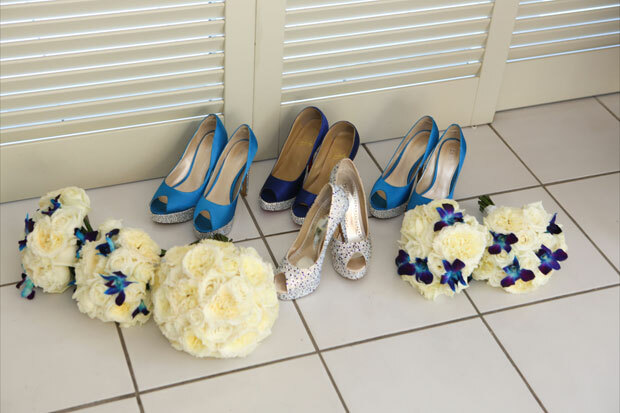 Shoes are a great place for a bride to show a little creativity. 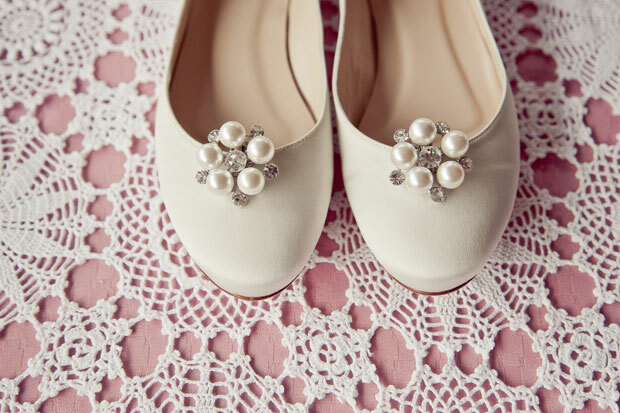 For a bride who has a shoe in mind but can't get it just right, think about scoring some pretty brooches and pinning them onto your shoes for a little DIY glam. 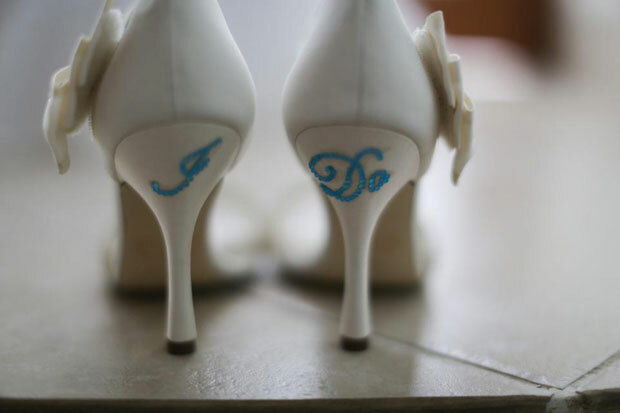 We love seeing the little 'I Do's' embellishments that has recently popped up as a trendy DIY to do. 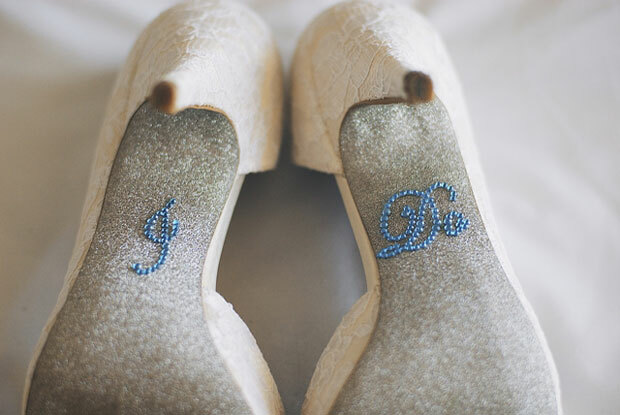 You can buy bedazzled letters fairly easily and are relatively easy to apply to shoes you have already got.